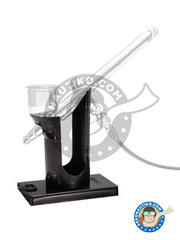 Holding stand for all your next airbrush or spray painting jobs. 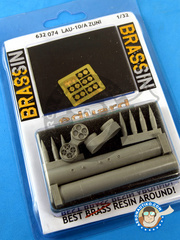 It's long arm allows holding your parts far enough for painting, and it also features several different adjustable clasps for holding every kind of parts. 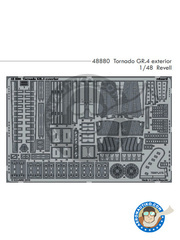 When we talk about a Revell kit, in 1/32 scale and skill level 5, then we are surely talking about a SUPER KIT. 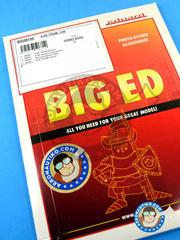 Just the first look at the materials included in the box already turns you on, but what will really blow your mind is the enormous and incredible decals sheet, featuring metallic inks, offset printing, and thousands and thousands details. Do NOT miss it!!! 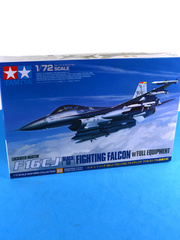 Once again, Tamiya delights us with one of their fantastic aircraft scale models in 1/72. 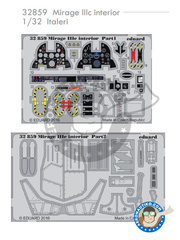 The kit includes pilot figure, as well as an extensive decals sheet. 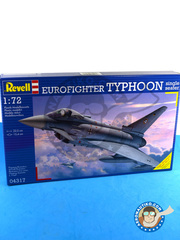 A new reedition of Revell kit, now with an extensive decals sheet and weaponry break up, and a number of other complements. 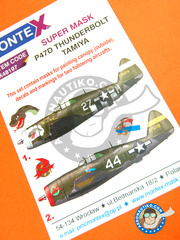 This set include masks for painting canopy (outside and inside) and marking for two aircrafts. 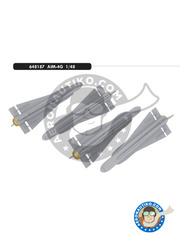 Decals and masks set for decorating the P-47 under American or English flag like these two units operating in the late 1944. 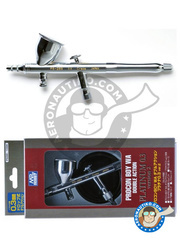 A great double action airbrush, including a teflon main joint, quick connector, 0.3mm nozzle, air and paint flow adjustments, connection tube and a 10ml cup. 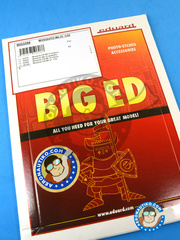 Absolutely excellent!. 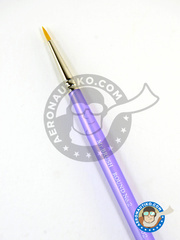 Airbrush featuring a 5mm nozzle and a 15ml interchangeable cup. If you want maximum convenience and need to use bicomponent lacquers or paint large sized parts, don't doubt: this is the solution. 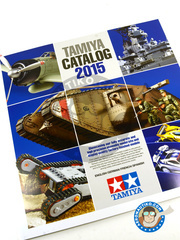 The whole Tamiya product catalogue for 2015, featuring 85 full color pages translated to English, German, French and Spanish. 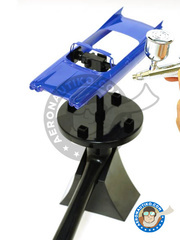 Universal airbrush stand, featuring a magnet on its bottom side for attaching to the Mr. Hobby Mr. Tray or to any other metallic part of your workbench. 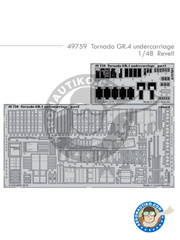 Pack grouping different photoetched parts sets for Hobby Boss A-6 Intruder, including the following Eduard references: 48864A-6E TRAM exterior, 48865A-6E electronic equipment, 49741A-6E TRAM interior and 49009 Remove Before Flight. 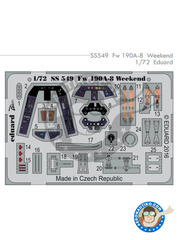 Full color photoetched parts for improving and detailing Eduard Fw 190 instrument panel in 1/72 scale, only available in a limited edition. 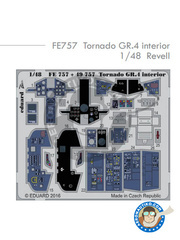 Full color photoetched parts for improving and detailing Revell Tornado cockpit instrument panel. 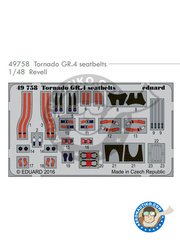 Set by Eduard Seatbelts set featuring full color printed photo-etched parts for enhancing the A-3 interiors. 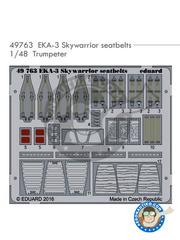 Brass made photoetched parts for the exterior parts of Trumpeter Skywarrior. 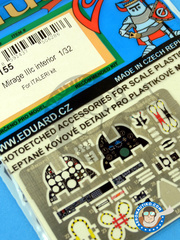 Colored photoetched parts for improving Italeri Mirage III cockpit. 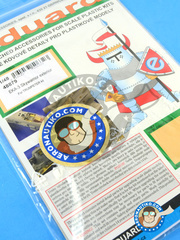 Set of coloured photoetched parts for recreating ejectable seat seatbelts on your kit. 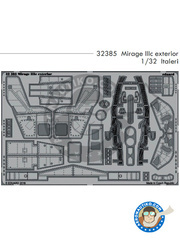 Two photoetched parts sheets, one of them printed in full color, for enhancing the cockpit interior of Italeri Mirage III. 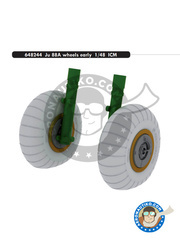 Absolutely essential for your kit!! 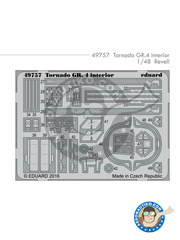 Photoetched parts sheet for the outer parts of Italeri Mirage III C. Includes covers and wire cabling for landing gear pits, among others. 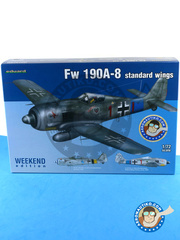 Eduard "Weekend Edition" series scale model, featuring three plastic sprues and one decal sheet with two decorations of the Fw 190 A-8 with standard wings. 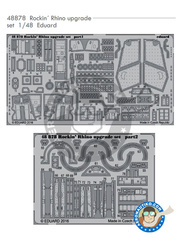 Set of two LAU-10/A ZUNI missile launchers including 14 resin parts, photoetched parts and decals. 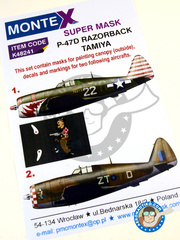 Pack of photoetched parts sets and masks for detailing Tamiya scale model, including the references 32845 Mosquito Mk. 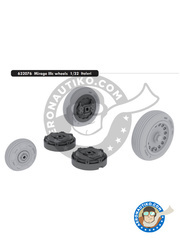 VI seatbelts, JX184 Mosquito FB Mk. 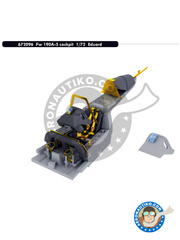 VI, 32379 Mosquito FB Mk. 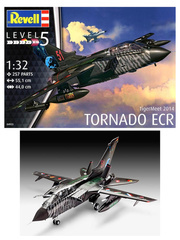 VI exterior and 32849 Mosquito FB Mk. VI interior. 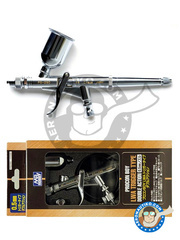 Airbrush cleaning does NOT have to be a pain for you or your family. 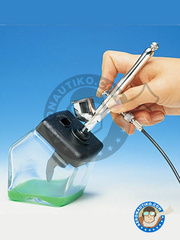 Avoid toxic vapors from solvents and paints by pulverising into this cleaning bottle: Mr. Airbrush & Pro-Spray Cleaning Bottle and its filter will collect all solid waste and separate them from solvents, remaining inside the 300cc. crystal bottle.